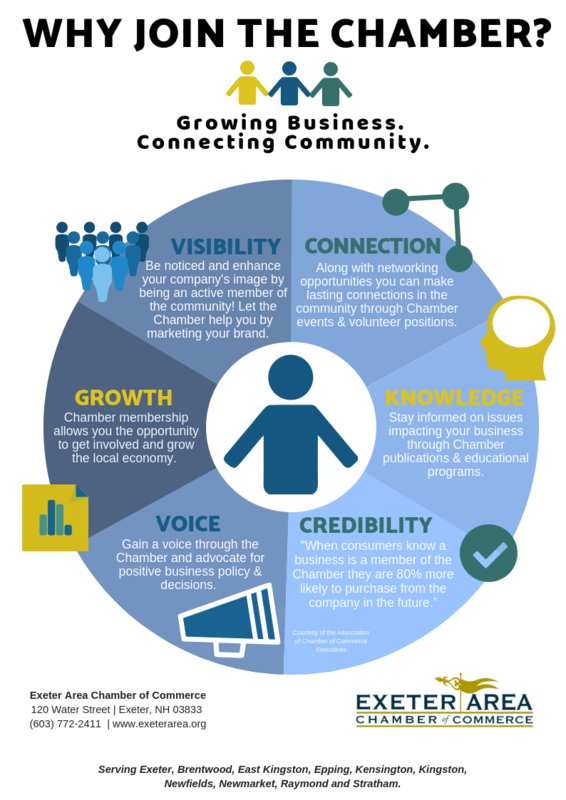 The Chamber advocates for positive business policy and decisions. The Chamber advocates on behalf its members to local, county, state governments and other organizations regarding topics that impact businesses and communities. Our Government Affairs Committee keeps and opens lines of communication available when needed. The Chamber conducts over 50 networking events every year giving you the opportunity to meet citizens, business people and leaders in any of our 10 communities. In our digital world, there aren't many opportunities to meet people, make friends, create customers, find vendors or discuss issues face-to-face. The Chamber is one of the few remaining organizations that delivers this valuable opportunity. We garner the collective knowledge of our members and our outreach to deliver up-to-ate, meaningful information and training to our members. From our Economic Forecast to our series of talks on relevant topics for business, you can be confident that you will have the information you need to make great decisions. We also offer Training Series for new businesses and entrepreneurs. You have the opportunity to reach the community, other businesses and organizations to create a brand of trust and civic responsibility. Combine your business growth strategy with the Chamber’s sales and marketing opportunities to grow your business. It's a fact that consumers trust and patronize Chamber members more than non-Chamber members. We offer sponsorships, banner ads, hot deals, flash sales, member-to-member deals, visitor interest pages and hosting opportunities, any of which can be a key part to your sales and marketing plan. We'll help you to select the right Chamber tools to fit your plan perfectly. Chamber membership gives you access to no cost services such as notary services, certificates of origin or conference room usage. Need a service in another town? Let us know and we'll try to arrange it for you with a fellow chamber of commerce. Join a peer group for a risk free environment to float your latest idea, talk through a nagging problem, solve a crisis situation, maximize a once-in-a-lifetime opportunity or simply check in for feedback. Independent business owners or executives often have no one to turn to for advice, guidance or group think. We carefully match executives and business leaders to maximize the groups’ ability to help each other succeed. 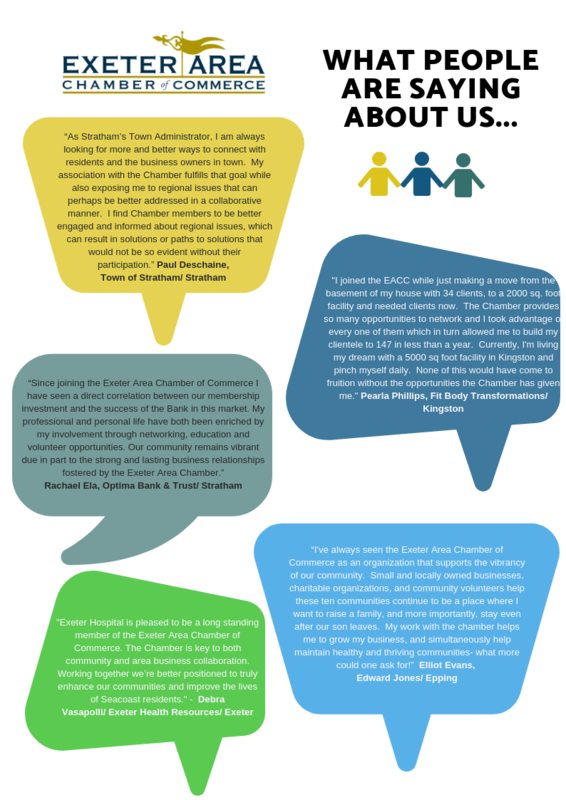 Join one of our committees to shape policy and events at the Chamber or in your community. Committee membership often puts your networking efforts on turbo by connecting you with key leaders in areas that interest you most. Consider one of our standing committees - government affairs, economic development, events; or a town-based committee that focuses on specific town's topics. Some folks join the Chamber because they feel its the right thing to do and a civic responsibility for any business or executive who wants to support an effort to create and sustain thriving communities. Meeting your civic responsibilities can be a side benefit or the reason for membership, or your sole reason. Community events provide a platform for consumers, businesses and government to meet, exchange information and have fun. Community events also create an atmosphere of success, improving community pride and value. The Chamber Children’s Fund provides warm bedding and clothing to children and young adults in our area. The Fund is now part of the Chamber’s philanthropic partner, the Exeter Area Charitable Foundation. This partnership enables organizations and individuals to take full tax advantage of their gifts.